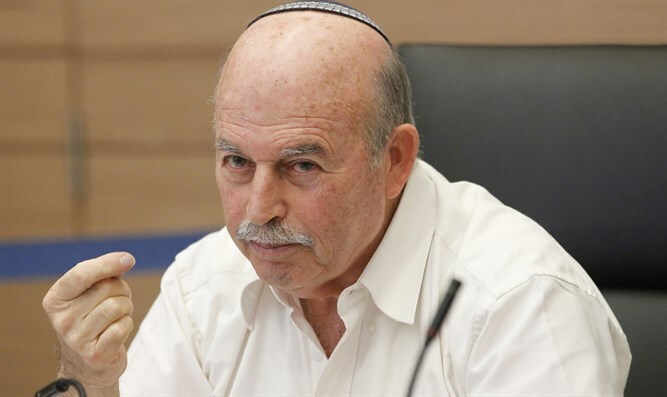 Knesset Constitution Committee Chairman MK Nissan Slomiansky (Jewish Home) told Arutz Sheva that lessons must be learned from the serious attack on the Temple Mount on Friday, when two Druze Border Policemen were murdered by terrorists on the Temple Mount. Slomiansky believes that there is room to reexamine the issue. "Today most of the rabbis of religious Zionism are of the opinion that we should ascend the Temple Mount, and from the moment the rabbis who forbade ascending passed away, the majority do ascend. Everyone will act according to his belief, but from a security standpoint, we are the only ones who should have control there. If they search the Temple Mount, I would not be surprised if they found weapons there." Slomiansky also addressed the fact that the terrorists were Israeli Arabs. “On the one hand, I was surprised. The Israeli Arabs are part of the people, but we have to know that there is destructive propaganda and that there are many Israeli Arabs who are being carried away by it. We have to keep a close eye on the issue of the Arabs of Israel. "